There is never a time of the year, week or day I am not thinking about the next trip, getaway or adventure but January, well January I go straight to 10 on the Ritchascale of Bucket Lists. I add, I take away, I reflect, I spend hours looking at websites working out where we could go and when we could try squeeze it in, or pay for it , (usually when I am supposed to be doing more important jobs I might add). I mostly have my head in a Conde Nast Magazine or the National Geographic Traveller, reading articles and collecting more ideas, adding to the list. I can scroll through Instagram for ages coveting friends’ and more worryingly strangers’ holiday pics. It is almost an obsession and I will talk the hind leg off a donkey to any one who cares to listen. Now most of it is good old fashion dreaming but sometimes I am lucky enough to to get to travel the globe, but I don’t think it hurts to have a little aim and a little dream now and then, and sometimes if you get really into it you almost feel like you’ve been away anyway!! So I am hoping that maybe one of these trips may possibly happen this year, (better start saving ) But if they don’t, I will no doubt just continue dreaming and of course adding to the list! 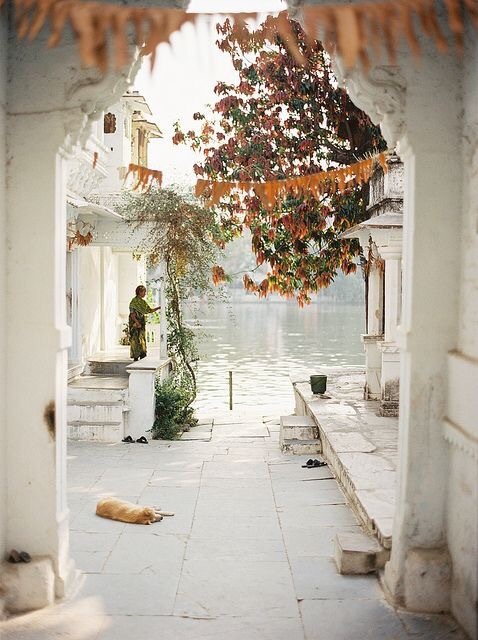 I have wanted to visit India for a while now, and in particular The Rajasthan. We were so close to booking it last year but we just couldn’t make it happen. The bustle, energy, colours and sheer scale of the country excites and scares me simultaneously and I feel it is time to maybe just go for it. We loved Sri Lanka, and I feel it gave us a little taste of that part of the globe. I imagine to really get into the country (as much as you can on a holiday) and to also get some of that well loved beach time in the south of India or on an island close by, a minimum of 3 weeks is needed. That is difficult to get in one clump of time, so we will have to either edit or wait ’til we are happily old and grey and in retirement. Jaipur, Udaipur and Jodhpur would be at the top of my list and it would be amazing to stay at some of these beautiful guest houses , palaces and boutique hotels as we move around the Rajasthan…. And well as we are dreaming the newly opened and incredible looking hotel Jalakara on the Andaman Islands, this hidden away boho-chic retreat would be my absolute ultimate way to end such a magical trip……Well like I said you can dream! 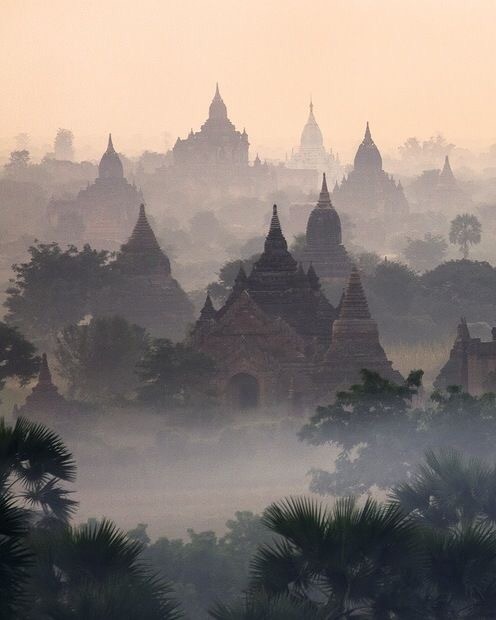 We have ventured to a few amazing parts of South East Asia, Bali, Thailand and Malaysia but would love to spend some time in Cambodia. My super well travelled cousin Caroline, lists it as one of her most favourite and most beautiful of countries. It is difficult when you only get certain parts of the year off to coincide it with the most beneficial time of year for the country, and that is the issue we have had with Cambodia. March/April or late Summer frees up time for long haul travel for us but it not necessarily the best time to see Cambodia. However we have travelled out of season to lots of places, The Maldives, Thailand and Mexico so maybe we could just take a gamble in order to spend time in Pho Phen, moving onto Siam Reap to see the incredible Angor Watt and perhaps ending with some sun, sea and sand on the Khep Coast. I’ve got my eye on these places to rest our heads if we do ever make it to that part of the globe. Viroth’s Villa or for a really special stay, the peaceful and tranquil Phum Baitnag. Surrounded by Rice Paddies, Sugar plants and that infinity pool, this would be the perfect place to while a few hours a away after a day exploring the temples of Angkor. If you have been following my trips on the blog so far, you will know by now by the number of posts on the Greek Islands that I have a rather big soft spot for this part of Europe. In fact we have a little secret dream of owning a little property there one day…We have Island Hopped around the Cyclades, stopping off at Naxos, to Santorini, to Folegandros and finishing off in our very happy place Koufonisia. Last summer we returned to the Cyclades and spent time in Mykonos and the stunning island of Paros which Travel and Leisure has recently placed on the 2017 Travel List, Hurrah! 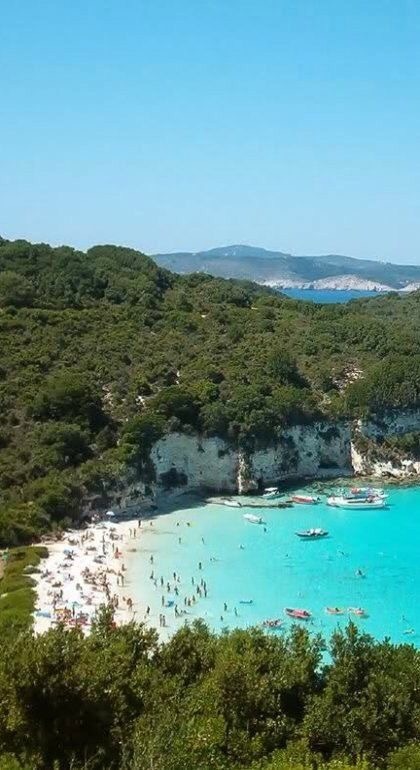 But for me, the next stop would be the Ionian Islands. Visiting the beautiful blue of Kefalonia and re-finding my love of Corfu since The Durrells came onto my TV (another good thing to look forward too in 2017- series 2) and then my absolute top would be to spend time in Paxos and Anti Paxos, hopping between the islands, jumping in and out of those crystal clear, and so very clean waters, and just slowing down as only the Greeks really know how to do! Wow, lets go! After the pretty good summer (for the UK) we had last year, and a gorgeous time away in East Sussex it has reconfirmed my love and trust in breaks in old Blighty! 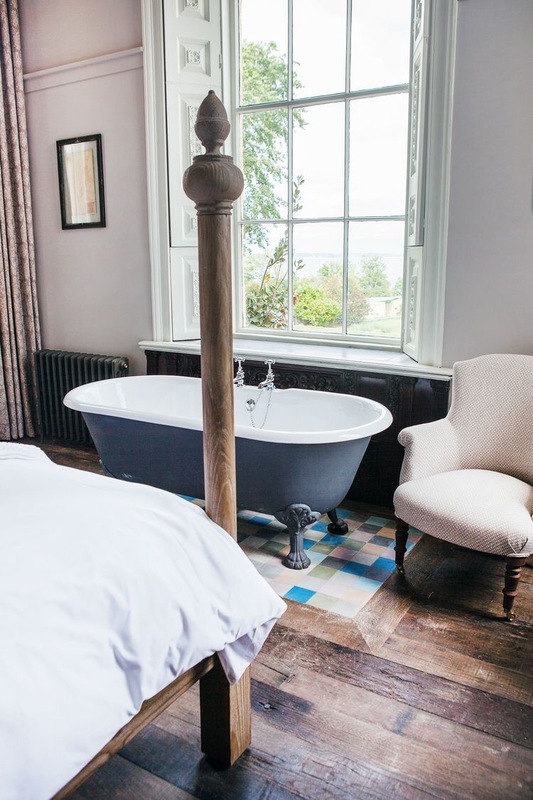 We had a night in the Pig in Brockenhurst in the New Forest, a few years back but I can think of no better place to spend a few days at The Pig On The Beach, down in Dorset. Set along the sandy coast of Studland Bay, all the tick boxes of a homely but luxurious hotel but with a view of all views…and no passport needed! Spring, Summer, Winter a getaway for all seasons. This would be the perfect place to spend a New years Eve, waking up to that immensely fresh, sea air, to the seagulls and the swishing sound of the sea, in a 150 year old converted hut which sit on the beach, to start the year would be just perfect for me. But alas this year I came across The Fisherman’s Huts two days before the year was up, so it was not meant to be. 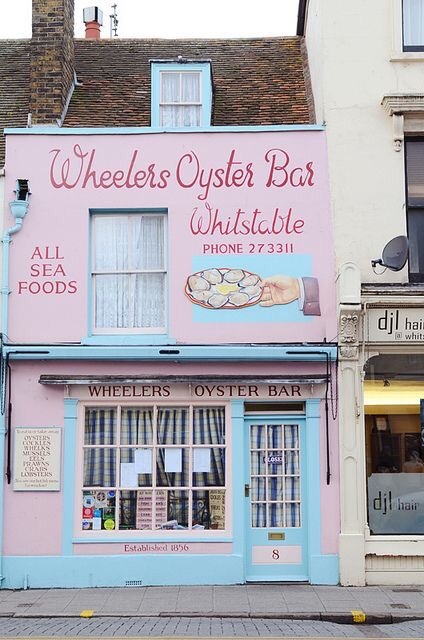 However we are planning a little trip to the Old Habour Town of Whistable this weekend (watch this space) which looks to be the perfect, quaint British seaside town, to walk and get lost in and to eat fish and chips as the sun goes down. So we will check it out and perhaps get organised for this year….Well we have 12 months. Photo by Promise To Carry The Cases. Last year for us was a little bit about ‘The Return’ to a few places, Mexico, New York and Italy….and I feel like this year could continue this theme. We first travelled to Bali for to honeymoon back in 2008 and lately I have had a pining to go back. On our first visit we spent time in Cultural Ubud and and down to the beaches of Nusa Dua and Jimbaran Bay…we had a lovely, beautiful and very special time. On return I would love to branch out a little more, spend some time in the North of the country, which is said to be less commercialised, a lot quieter, peaceful and romantic and to stay here would just top this trip off. From there I would love to most definitely hop to the Gili Islands. An hour and half boat trip from Bali and perhaps a feel of what Bali used to be. Staying at Slow Gili Air, for some quiet island time, with your own private pool, in your own private hideaway, take yoga every morning and spend time on a coconut palmed, turquoise waters – desert island style! I’ll see you there! ….So I had better start saving! What is on your Bucket List, I would love to know ? And well I might as well add to the list as I go! I hope you get to do some of these trips this year. They look like a lot of fun.